Dulini River Lodge is a luxury safari lodge located in the western sector of the Sabi Sand Game Reserve. Set in a leafy, evergreen thicket shaded by a grove of ebony trees on the banks of the seasonal Sand River, Dulini River Lodge has an exquisite riverfront location. 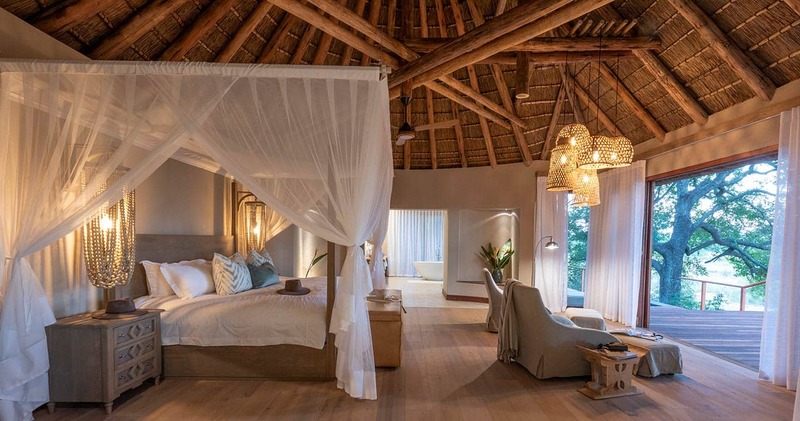 The eight luxury thatched suites have dramatic close up views of the Sand River and are generously spaced along the river bank. Suite interiors are elegantly designed using natural earthly colours, luxury finishes and a dash of African flair. Features include en-suite bathrooms with deep bath tubs and outdoor showers, air-conditioning and fans, minbar and a private wooden verandah with loungers, plunge pool and Sand River views. 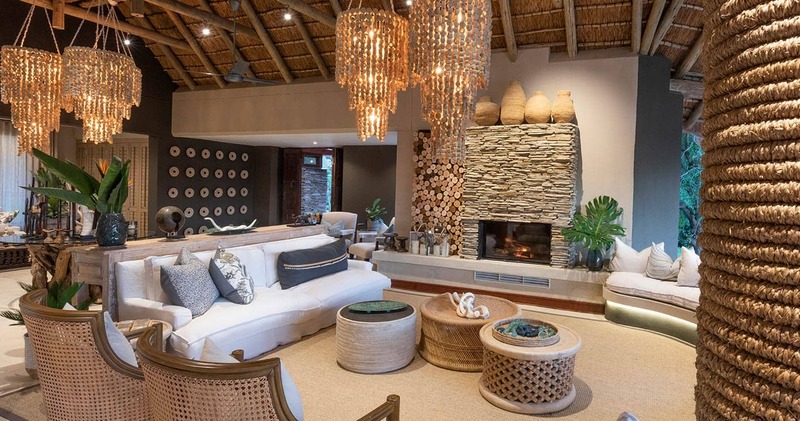 The lodge lounge and dining areas are under thatch with open sides, high ceilings and screed floors. Deep comfortable sofas and furnishings, extensive deck, a giant sausage tree and open air boma add to the allure of this beautiful lodge. Activities at Dulini River Lodge include morning and afternoon/evening game drives with a guide and Shangaan tracker. Interpretive guided bush walks are conducted from the lodge. 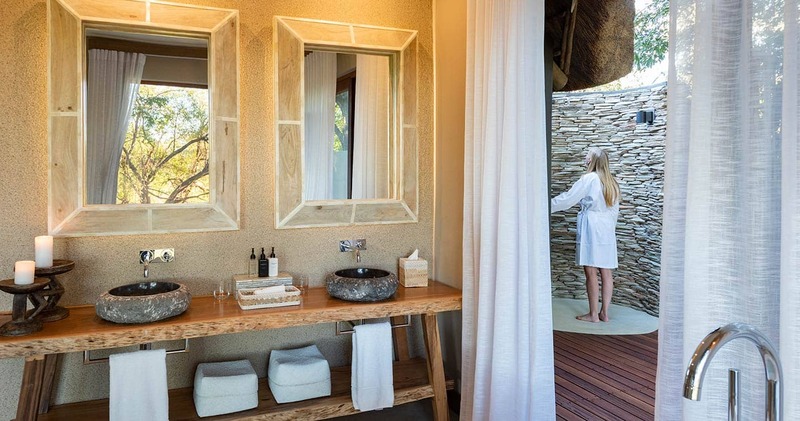 In room massages are available (additional cost) and the lodge has a Safari Shop. Dulini River Lodge offers a wonderful honeymoon special. Brides receive a 50% discount when staying for a minimum of three nights. Valid through 31 December 2019. I loved this property and staff. Everything is run smoothly and no request goes unanswered. The rooms are extremely large and the view from the shower cannot be beat. Food is very good and nice choices. Andrew and Phicksen (sp) were excellent and very friendly. We saw everything we wanted to see. I wouldnt hesitate to recommend or return to this property. In fact, I am already planning next year. oh, and the spa treatment in the room was excellent and a good value. Before going i was amazed at all the positive reviews on TA about the safari lodges. But, wow the experience was awesome and i am happy to recommend Exeter as the best of the 5 lodges we visited during a 2 week visit to lower Africa in November. Go and enjoy and worry about nothing. & Beyond is an excellent operator. Our ranger Richard and tracker Eric were wonderful, kind, professional hosts to the park. We saw more then the big five and enjoyed every part of the experience. We do think that getting up at 5 in the morning is a big over rated, but we made it anyway. 6:30 would be better!!! 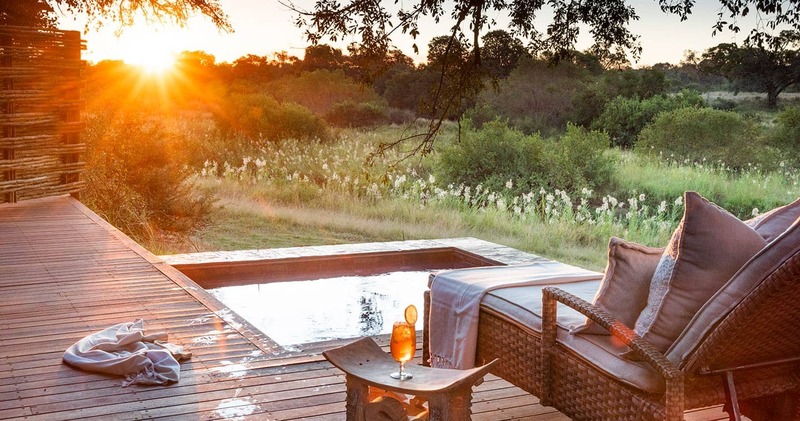 All eight riverside suites at Dulini River Lodge are equipped with a private plunge pool: ideal for game watching in style from your own viewing deck. 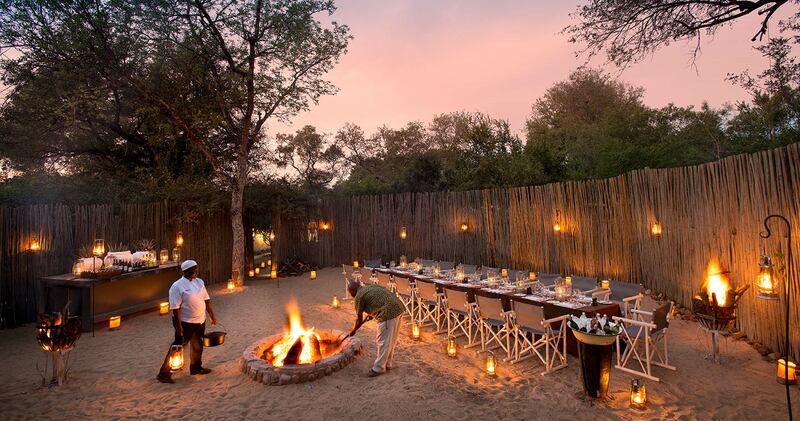 Read all about travelling to Dulini River Lodge on our getting to Sabi Sands page. Dulini River Lodge is best accessed through Kruger Mpumalanga International Airport near Nelspruit. Dulini River Lodge welcomes children of all ages. Children under sixteen years of age pay 50% of the adult rate, and children under five stay for free (subject to room availability). 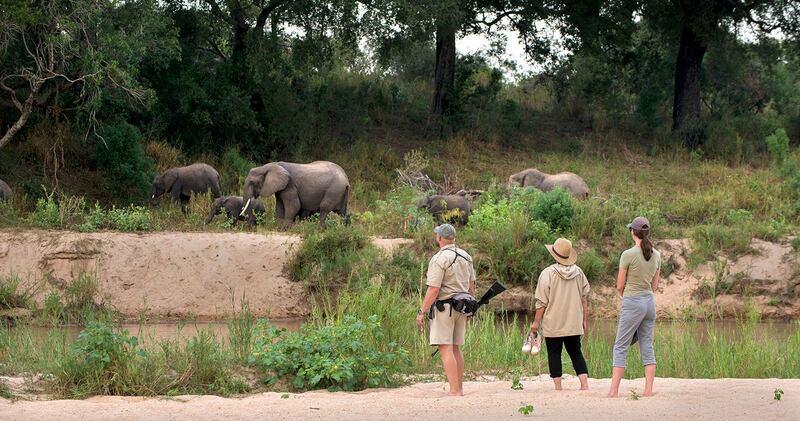 Exeter River Lodge has an age restriction of a minimum of six years for children to participate in game drives. No children under 16 years of age may participate in the bushwalks, due to safety regulations. 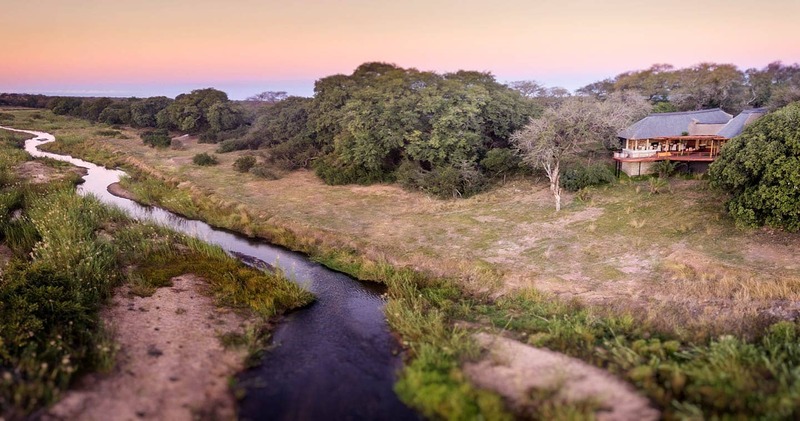 We hope you have found all information needed to decide that Dulini River Lodge in the Sabi Sands Game Reserve is the perfect place for your next travel adventure. Please fill in the contact form and we will get back to you soon!